Zhukov Dance Theater’s sixth home season was all about newness. The two-night, mid-week run saw the world premiere of two works – “Enlight” by Yuri Zhukov and “Spider on a Mirror” by Idan Sharabi – in a relatively new (and super cool) venue, the SFJAZZ Center. Once again, Zhukov has proven that he is an artistic force to be reckoned with. Product 06 certainly gives the audience what it has come to expect from this great contemporary company: a stellar cast, an exciting program and dynamic choreography. But in addition, this year’s presentation has an underlying pulse of change; a sense of morphing; a looking beyond the status quo. And, this newness is unfolding in a great way. 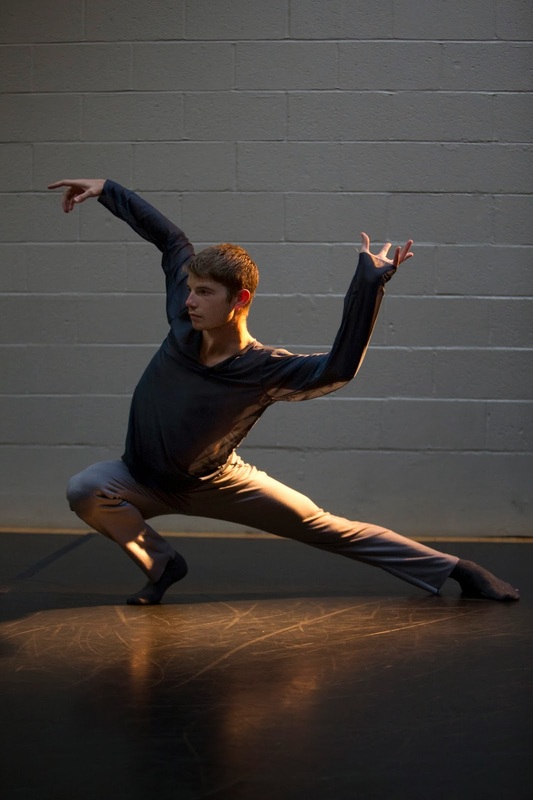 “Enlight”, Zhukov’s newest choreographic endeavor, confronts its viewer with a challenge: explore the notion of visibility. A soloist opens the work dancing in and around a square of light placed center stage. Following this first variation, nine similar squares of light appear all over the floor and the entire company proceeds to interact with them. Sometimes the entire body was visible; sometimes only a finger or toe; sometimes a full arm or leg. During the contrasting middle section, the entire stage was lit, but at a low percentage. While this lengthy segment brought a change in lighting, it also revealed a shift in the choreography as longer, stretchier, elastic physicality moved to the forefront. The addition of a strobe effect added an element of time to the exploration of light. And, the final scene incorporated a large white sheet to layer yet another aspect to the question of ‘what we see’. Throughout “Enlight”, Zhukov’s attention to level was captivating; lying, sitting, kneeling, standing and elevated postures holding an intrinsic place in his choreographic vocabulary. While the idea of visibility definitely has narrative implications, “Enlight” was more of a structural assay. The choreography and movement spoke equally to what is seen and what is not seen, and how that reality is in constant evolution. Individual idiosyncrasies and personality characteristics took center stage in Idan Sharabi’s “Spider on a Mirror”. The beginning moments find the entire cast scattered around the space making small body adjustments and minor pedestrian alterations to their stance. An unobtrusive shoulder lift here; a quiet foot pivot there. These small shifts quickly exploded into full-out variations. Though still initiated by those first motions, this time the choreography permitted a more complete and abandon expression. “Spider on a Mirror” continued in this clever fashion, toggling between the unremarkable and the voluminous. And with that back and forth also came the difference between observation and celebration. The small movements were simply a noticing of each person’s distinctiveness and the expansion of those motions was a tribute to that individualism. Both of the pieces featured in Zhukov Dance Theater’s Project 06 were steeped in strong contemporary technique, yet, both also seemed to be slightly influenced by the genre of dance theater itself. Constructing dance theater is a complicated business, and there is often a temptation to either a) add too much theatrical syntax or b) add something new far too late in the piece. When either instance occurs, the flow of the work can be compromised and the latter did happen a little in both dances.